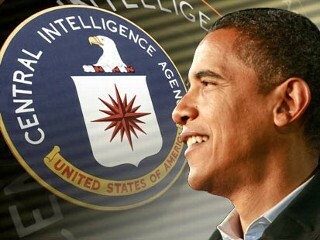 Now that the 2014 Congressional mid term election has ceded Senate control to the Republicans, President Barack Obama may assume that any further investigation into the CIA’s rendition, detention and “enhanced interrogation” (RDI) program and its efforts to block release of the Select Senate Committee on Intelligence (SSCI) report will be stifled – unless that rare individual of conscience steps forward. In March, 2009, SSCI Chair Diane Feinstein (D-Cal) and Minority Chair Kit Bond (R-Mo) announced, as the Senate committee with CIA jurisdiction, an oversight review of the agency’s RDI program. After withholding the existence of ‘enhanced interrogation’ (torture) videos of two al Qaeda operatives from federal courts and a formal 9-11 Commission request, the American public became aware in December, 2007 that the CIA had destroyed over 90 videotapes of that interrogation recorded in 2005 in a secret black site in Thailand. In her March Senate speech, Sen. Feinstein explained that the destruction of the tapes in 2005, done over the objections of President Bush’s White House Counsel and the Director of National Intelligence, provided the impetus for SSCI investigators to formally review the operational cable evidence that remained of those interrogations. Their results were ‘chilling’ and confirmed that interrogation and confinement had been considerably more harsh than previously described to Congress. It was those results that led to the SSCI to launch a comprehensive review of the agency’s RDI program in 2009. A criminal investigation of the destroyed videos conducted by the Obama Department of Justice decided in 2010 to not file criminal charges against Jose Rodriquez, former head of clandestine services and other CIA officials after allegations that the perpetrators acted with legally sanctioned approvals provided by the agency. Rodriquez was quoted as suggesting that release of the tapes “would make us look terrible” and would be ‘devastating to us’ (CIA). Further shielding CIA officials, the Obama Administration allowed the five year statute of limitations for prosecutions to expire. As described by Sen. Feinstein, at the outset and as the result of a negotiated agreement between the CIA and the committee, the CIA agreed to provide a stand alone computer with its own network drives segregated from the CIA’s RDINet network in order to protect the integrity of the SSCI investigation. This computer system would be accessed only by CIA IT personnel. In addition, according to Feinstein’s description of an “exceedingly tedious process” with outside contractors, the agency insisted on a review of every one of the millions of pages prior to providing those documents to committee investigators; thus ensuring that the agency would not mistakenly provide any inadvertent “classified’ documents. Once that review process was completed, the agency was not about to make the job easy as committee staffers were inundated with a ‘document dump’ of 6.2 million pages of unindexed, unorganized helter-skelter material to be reviewed by Senate investigators. By May, 2010, SSCI investigators, by now familiar with the bulk of CIA-provided documents, discovered certain pages no longer accessible. The CIA at first denied any knowledge of the missing documents and then blamed the White House having ordered removal of the sensitive documents. The White House denied any knowledge of the vanished pages. Ultimately, it became apparent that the CIA had hacked into the Committee’s secure computers and by February, 2010 ‘electronically removed’ 870 pertinent documents previously provided with another 50 documents discovered missing by mid-May 2010. Upon recognizing the agency’s interference in a Congressional investigation, White House General Counsel was contacted and the CIA agreed to no further access of the committee’s network or any future removal of documents. Of special interest was a document entitled ‘Internal Panetta Review’ (named after then-CIA Director Leon Panetta) which allegedly confirmed ‘significant CIA wrongdoing” that committee investigators had already begun to compile. As Feinstein described it, no one could be sure if the Panetta review had been inadvertently included in the ‘dump’ to the committee (even after the agency’s extensive review to prevent exactly such an occurrence) or whether a whistleblower had intentionally slipped the document into the trove to be found by Senate investigators. Having immediately recognized the value of the Panetta Review as it corroborated SSCI analysis of significant CIA misdeeds, Senate investigators had already copied the document for safe-keeping by the time it went missing. It became apparent that the CIA had hacked into the Committee’s computers to retrieve whatever bits and pieces of the Panetta document could be found. By early 2013, John Brennan, a 24 year CIA veteran and former presidential counterterrorism advisor, had taken Panetta’s place as CIA Director. Upon the investigation’s conclusion, the report was then sent to the Executive Branch for comment with the Administration and CIA responding with voluminous suggested redactions. In March, 2014, Senate Majority Leader Harry Reid requested that the Senate’s chief law enforcement officer, its Sergeant at Arms, conduct a forensic investigation of allegations that the CIA had improperly searched the SSCI computer. Reid sent letters to CIA Director Brennan and Attorney General Erik Holder informing them of his “deep concerns” citing ‘grave and unprecedented concerns regarding the constitutional separation of powers.”. Ultimately, the Sergeant at Arms concluded that since it was unable to examine erased computer records (including audit logs), it could not reach a definitive conclusion but did find the SSCI staff not culpable. In addition, it was discovered that CIA personnel had impersonated Senate investigators to gain computer access as they combed through staff files (including personal emails) that could have supported the staff contention that it had observed appropriate protocols in handling all CIA documents. Subsequently, the CIA accused Committee staff of pilfering classified documents from its possession and the agency requested that the Department of Justice pursue criminal charges against committee investigators which the DOJ declined to do. Senate Committee staffers assert they acted within proper oversight authority. In July, 2014, the IG completed its investigation and issued a classified report to the CIA Director. Its Summary of Report confirmed that five CIA personnel (two attorneys and 3 IT specialists) had improperly accessed majority staff files on the RDINet shared drive. In addition, the IG said that the “three IT staff members demonstrated a lack of candor about their activities during interviews by the OIG.” Further the IG found that there was no factual basis to support the Agency’s crime report filed with the DOJ alleging that Senate investigators “may have improperly accessed Agency information” on the RDI Net. “To my knowledge, the CIA has produced no evidence to support its claims that Senate committee staff who have no technical training somehow hacked into the CIA’s highly secure classified networks,” said Majority Leader Reid. Brennan was forced to apologize although, in response to Sen. Feinstein’s later written request and in blatant defiance of Congressional authority, refused to identify agency personnel responsible and provide the CIA’s legal justification for its actions. Senator Mark Udall (D- Co) repeated an earlier call for Brennan’s resignation. The CIA’s IG then referred the matter to the Department of Justice which declined in July, 2014 to open a criminal investigation. Initially meant to function along a comparable path with the SSCI investigation, a Special Task Force on Interrogation and Transfer Policies was established in January, 2009 by Presidential Executive Order 13491. The Executive Order directed closure ‘as expeditiously as possible’ of any CIA operated “detention facilities” and to allow Red Cross access to any detainee held in a US owned or operated facility and specifically referred to Army Field Manual 2.22.3 as the authorizing document for guidance in the use of interrogation technique and treatment. By August, 2009, the Task Force, chaired by Attorney General Holder, issued its recommendations to the President to “conduct interrogations in a manner that will strengthen national security” and to improve its ability to interrogate the most dangerous terrorists by forming a specialized interrogation group and establish a ‘high value detainee interrogation group (HIG) guided by the Intelligence Science Board. As a result of the CIA’s IG report, and as if immune to the paradox of having a controversial agency like the CIA investigate itself as if the public can be hoodwinked with another gratuitous gesture, the President established an Independent Accountability Board within the CIA to consider whether the agency impeded a Senate investigation and to identify which CIA officials were culpable. Former Sen. Even Bayh (D-Ind) was appointed Chair. In April, 2007, CIA Director Michael Hayden described, in top secret testimony before the SSCI, why Section 2.22.3 of the Army Field Manual is an ineffective guideline for interrogation positing the conundrum of a democratic society acting more like a police state. Hayden, in effect, disputed why the non-coercive techniques, such as those contained in the Army Field Manual since 1956, are insufficient justification for torture-at-will as his comments became an argument in favor of loosely-worded legal analyses used to validate the application of retention, detention and ‘enhanced interrogation’. Meant to provide legal guidelines for interrogators, the 2006 manual revision omitted the previously banned use of sleep deprivation and certain stress positions such as prolonged periods of standing, Despite Presidential Executive Order 13491 (“Ensuring Lawful Interrogations”) that any individual held by the US government “shall not be subjected to any interrogation technique or approach…not authorized by and listed in AFM 2.22.3,” Appendix M focuses primarily on psychological techniques of torture such as ‘extreme isolation’ from other detainees, solitary confinement and sleep and sensory deprivation practices. The 2014 report was prepared by Advocates for US Torture Prosecution and Harvard Law School’s International Human Rights Clinic. One of the signers, Archbishop Desmond Tutu suggested the letter was inspired by the ‘disturbing’ news that the Obama Administration was considering a pass for the CIA and expressed his “grave sense of sadness and of being let down” by the president. More recently, McDonough, who reportedly has a ‘cozy’ relationship with CIA Chief John Brennan, has been personally ‘negotiating’ redaction of the 500 page Summary for the last six month while urging Senators to not pursue, presumably forestalling an indictment, Brennan in the expected aftermath of public reaction to the Summary ‘s release. The White House has sought to stall demands for Brennan’s resignation and has expressed ‘full confidence’ in the CIA Chief. Now in a position of influence to adopt his earlier advocacy for increased Congressional oversight, the president’s Chief of Staff is reportedly hustling Senators to protect the Executive Branch and the CIA’s insistence to redact significant portions of the Summary. “The McDonough of 2006 has a message for the Senate Intelligence Committee of today: Don’t give up, don’t abdicate — fight for what you believe to be right. That’s the only way to fulfill your responsibilities,” said Steven Aftergood of the Federation of American Scientists’ Project on Government Secrecy. Individuals familiar with the SSCI efforts suggest that the Executive Summary is totally focused on CIA malfeasance and does not assess any responsibility or place any criminal liability on former President George W. Bush – or any of the higher echelon or legal staff within the Bush Administration for their contribution to creating the network that allowed the CIA RDI program to operate with legal impunity outside international law. Dennis Blair, then Director of National Intelligence, defended Panetta, saying the real cause for concern should be the individual who instigated Obama’s response in the first place. “’If the president’s hair is on fire,’ he retorted, ‘I want to know who the f**k set his hair on fire,’” Panetta recalled Blair saying. Both Blair and Panetta left the Administration in 2010 with Blair reportedly fired over conflicts with White House staff. As Tuesday’s election results are indicative of a ‘no confidence’ vote in the President and the Democratic Party, there was nary a mention of constitutional issues and specifically, the Administration’s stonewall of the SSCI report on the campaign trail. Will the President, who campaigned as a constitutional scholar in 2008 and promised his attorney general would ‘immediately review’ evidence of criminality as ‘no one is above the law,’ allow the redactions to further erode his much-cherished legacy? Will the fate of the SSCI report further demonstrate that neither Republicans nor Democrats can be trusted to protect the Constitution – or will an as-yet unknown individual of conscience be required to release the full 6,000 page document that should have been released in 2012 when the SSCI completed its work?